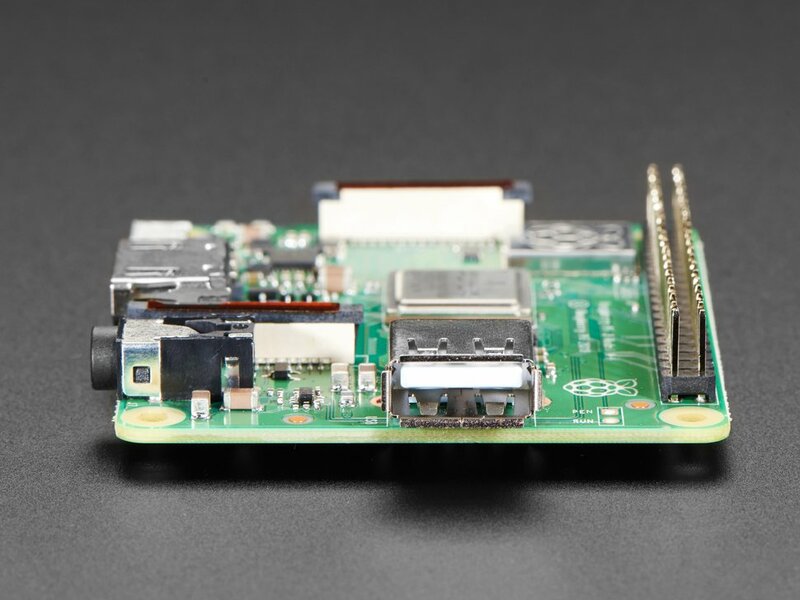 The Raspberry Pi 3 Model A+ is the latest board for the minimalist Pi fan. 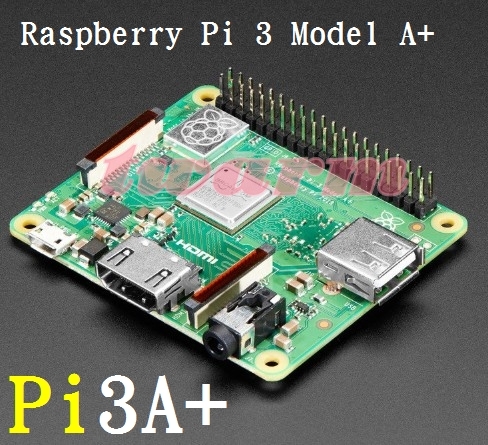 Like the Raspberry Pi 3 Model B+, it boasts a 64-bit quad core processor running at 1.4 GHz, dual-band 2.4 GHz and 5 GHz wireless LAN, and Bluetooth 4.3/BLE. 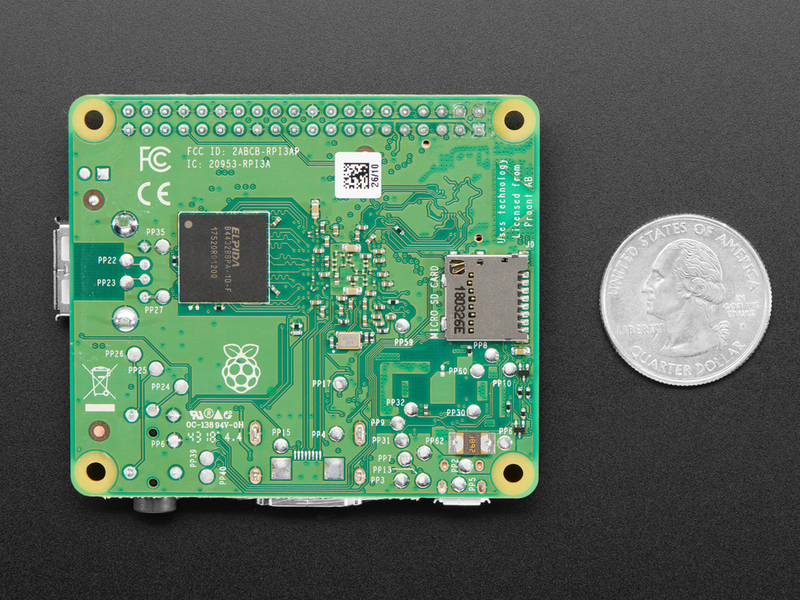 This low-cost Pi uses the same processor as the model 3 B+, but does away with the Ethernet jack and three of the USB ports. 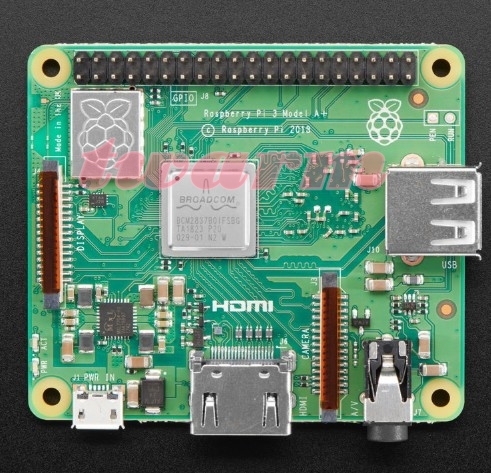 It's still compatible with all Pi operating systems and software, and has the exact same 40 pin GPIO connector and camera/display sockets, so any HATs or Pi Plates or other things that plug into the model B+ will work just the same. It also has the same HDMI, sound/composite connector, and microUSB connector for power. 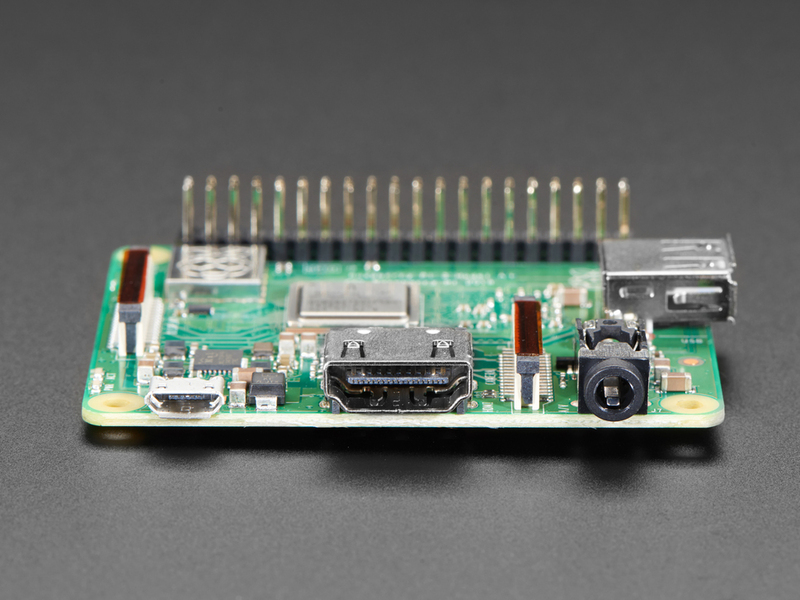 Unlike the Raspberry Model B+, there's only one USB port and no ethernet jack, but it's also significantly smaller at 65mm x 56mm if you don't include overhang from the connectors. Shipping weight reflects UPS' new dimensional weight regulations. Also please note some boards are made in the UK, some in China. WE DO NOT KNOW IN ADVANCE WHICH ONES YOU MAY RECEIVE! Dimensions: 65mm x 56mm / 2.5" x 2.25"